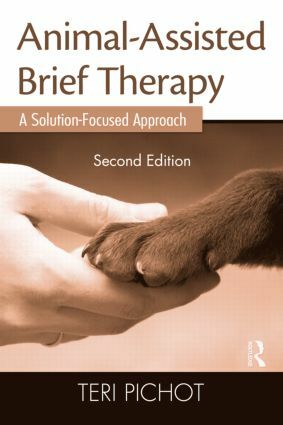 This book provides an overview of Animal-Assisted Activities (AAA) and Animal-Assisted Therapy (AAT) and demonstrates how they can be incorporated into solution-focused treatment programs. Pichot, focusing on the use of therapy dogs, starts with a discussion of the basics of AAA/T and solution-focused therapy, as well as what every practitioner should know about dogs before partnering with them. Successfully combining all of this into an effective treatment program is considered next. Pichot draws upon her own experience developing an AAA/T program in the substance abuse counseling program at a county public health agency to illustrate the effective implementation of such a program and the struggles and lessons learned in doing so. Using AAA/T with special populations, cultural considerations, and the impact a therapy dog can have on the handler. New in this edition are client scenarios that demonstrate the therapist’s thought process when making clinical decisions about when and how to use a therapy dog. Sample forms and treatment plans are also provided that professionals can use to modify or structure in their work with clients. The concepts and information provided in this valuable guide will be helpful for any therapist regardless of whether he or she is in private practice or working in an agency setting.